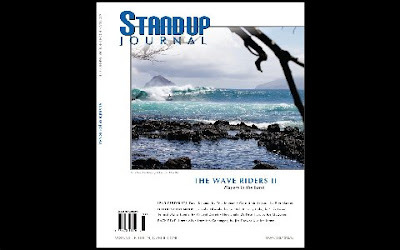 Stand Up Paddle Surfing: Sneak Peek: Spring Stand Up Journal Snaps... Wow! Photo: Trow, Galapagos Islands... the story we've all been waiting for. How about this guy? One of the BlueLine/Paddle Surf Hawaii crew up in Santa Barbara... cross over from RIPPING on a kite (the one guy, besides Josh Mulcoy who makes wave-kiting look, well, like surfing... no dangle-spin, monkey-tricks from these guys!) to solo-poaching scary, big, cold, Central Cal. 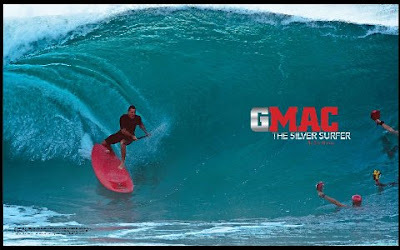 mackers... gnarly stuff from a guy who lets his surfing do the talking. Can't wait to read about what happened to these guys... from what I heard the gnarliest stuff happened out of the water! Photo: What... bikinis out there too?